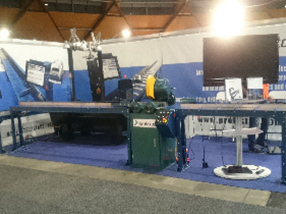 Come see ProfiStop in action at the National Manufacturing Week in Melbourne, 9-12 May 2017. 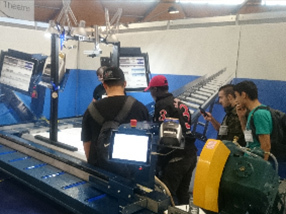 Talk to our Engineers about how we can improve production line and positioning applications at your factory and see our automated length stop, feeder, semi-automatic and fully-automatic saw displays. Learn about OptiCut-1D Job Nesting and other productivity features on ProfiStop that most don’t know about; and most of all discover the difference ProfiStop automation can make to your bottom line. Also come take on the ProfiStop at the Air Hockey Challenge! ProfiStop Air Hockey is a special application high-speed camera-integrated ProfiStop system designed to be the best at the arcade air hockey. As always if you can beat it, a special prize awaits you.